Manila, Philippines – Coca-Cola Philippines and Davao City 1st District Representative, Congressman Karlo Nograles, entered into a Memorandum of Agreement to expand the implementation of the Sari-sari Store Training and Access to Resources (STAR) Program to the women small business owners in the area. 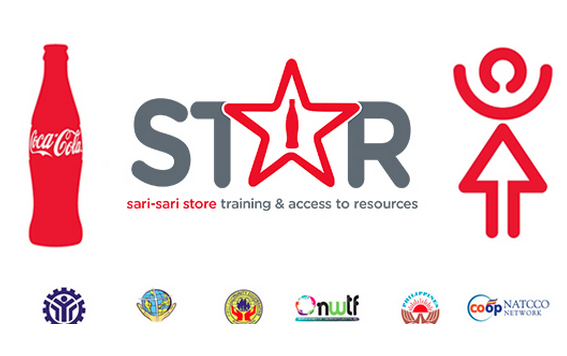 The Coca-Cola 5by20 STAR Program is designed for women micro-entrepreneurs who own and manage sari-sari stores or carinderias, with the goal of addressing the barriers they face by providing an enabling environment for business success. The STAR Program has three components: access to training, access to resources, and access to peer mentoring. The STAR Program is implemented in partnership with the Technical Education and Skills Development Authority (TESDA) and reputable microfinance institutions and cooperatives operating at the regional level. “We are continuously expanding the coverage of the program by partnering with key government officials and offices. The first district of Davao has one of the largest populations of women micro-entrepreneurs. Together with Congressman Karlo Nograles, we will reach a larger audience and bring the program to those who can benefit from it the most,” said Gilda Maquilan, 5by20 Lead, Sustainability Manager of Coca-Cola Philippines. The 1st District of Davao City covers the central business district and neighboring suburbs, where a great concentration of micro and small enterprises are located. The office of Congressman Nograles will identify the qualified women for the program and provide the training venue, among others. “The empowerment of women is at the core of our platform. Over the years, we have helped women in our district through our various livelihood programs. The Coca-Cola STAR Program is a great opportunity to enhance the capabilities of our women micro-entrepreneurs and help them provide more for their families,” said Nograles. The Coca-Cola STAR Program is part of the 5by20 global initiative of The Coca-Cola Company, which aims to empower 5 million women within its value chain by 2020. The program initially targeted Filipino women engaged in micro-retail enterprise such as sari-sari stores but has expanded to include women in other marginalized sectors since its launch in 2011. Today, the Coca-Cola STAR Program is implemented in over 54 locations nationwide and has impacted more than 80,000 women. The program has continuously embraced other sectors including distressed female overseas Filipino workers (OFWs) through a partnership with the Overseas Workers Welfare Administration and the National Reintegration Center for OFWs of the Department of Labor and Employment, beneficiaries of the government’s conditional cash transfer program or the Pantawid Pamilyang Pilipino Program (4Ps) in coordination with the Department of Social Welfare and Development–National Capital Region, Artisan Women of Tondo, and women who are in disaster-stricken areas. The Coca-Cola STAR Program is also supported by Coca-Cola FEMSA Philippines, Alay sa Kaunlaran, Inc. (ASKI), First Community Cooperative (FICCO), Negros Women for Tomorrow Foundation, Inc. (NWTF), ASA Philippines, and National Confederation of Cooperatives (NATCCO).